After Godzilla El Nino: What's next? The rain and snow that's fallen up and down the West Coast over the last day or so is pretty typical of a strong El Niño like the one currently in place . But the current El Niño, which has been one of the strongest on record, is finally beginning to show signs of weakening. 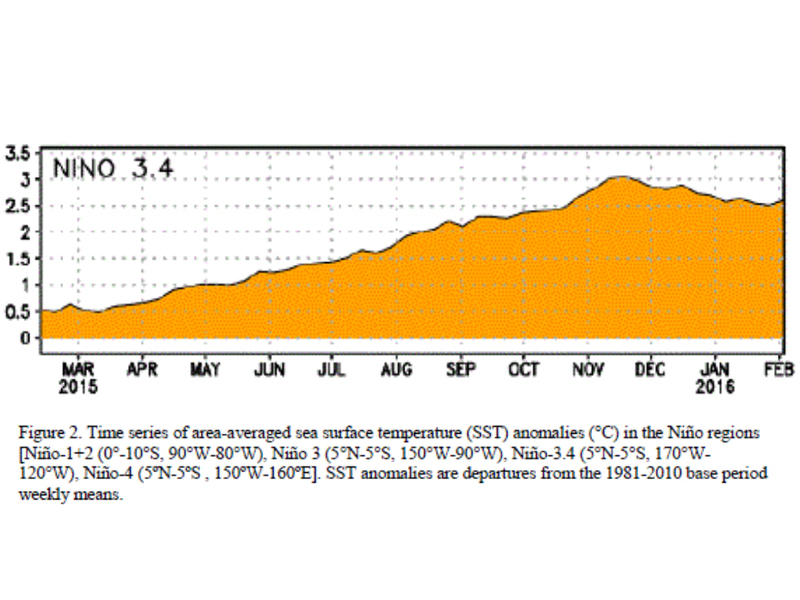 The ocean temperatures used to measure the strength of an El Niño have been slowly dropping for the last two to three months. At home in the United States, these rainy days up and down the West Coast as a result of a strong El Niño are becoming fewer and farther between. The overall weather pattern is beginning to shift. Since February began, colder, arctic air was able to make its way into the Midwest, Northeast and even parts of the Southeast — a little unusual for El Niño years. At the same time, the rain and snow in the West has significantly slowed down in the past weeks. El Niño forecasts are showing the same patterns. 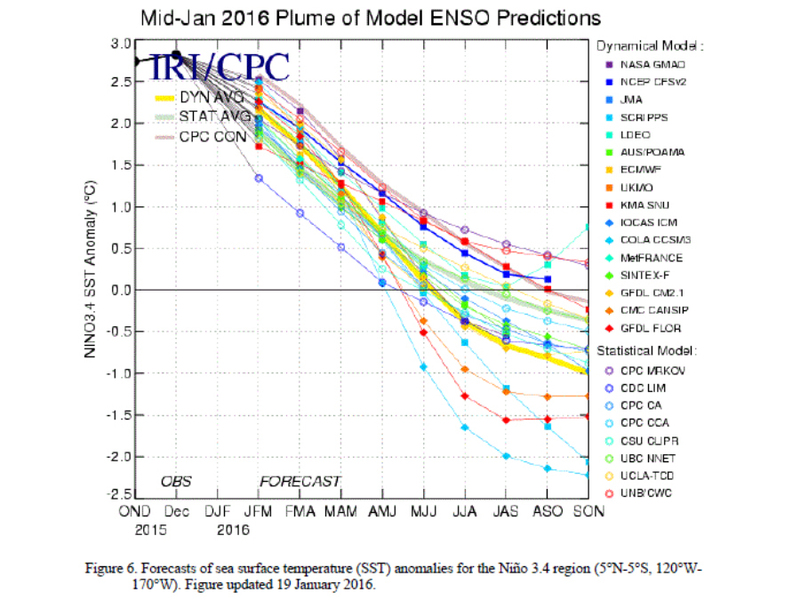 The latest model runs have the current El Niño completely going away by late Spring or early Summer. After that, forecast models show the Eastern Pacific diving into a strong La Niña. This is fairly common following extremely strong El Niño events. Following two other major El Niño events in 1997-98 and 1982-83, La Niña events followed shortly afterward. That could also be the case later this year. Will we see a big shift in our weather pattern this summer or fall if a La Niña does indeed develop? Not likely. There's very little correlation with a big shift in weather patterns across the United States during La Niña events.